Los Angeles County to study the feasibility of re-adapting the former general hospital into affordable housing. 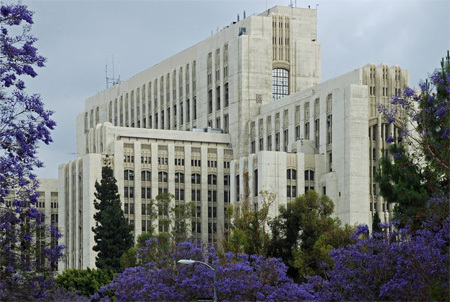 Earlier this month, the Los Angeles County approved a motion to study the feasibility of re-adapting the former general hospital to offer affordable, low-income, and mixed-use housing. At 139,355 m² (1.5 million sf), the 19-story, art-deco building is the county’s largest health campus. After the 1994 Northridge earthquake, the county decided to construct a newer, state-of-the-art medical facility to replace the general hospital. When the modern LAC+USC Medical Center opened in 2008, the old hospital, a historical landmark, was largely abandoned. The CEO will now lead the detailed feasibility study and collaborate with representatives from the county’s Housing for Health, the Community Development Commission, the Health Agency, LAC+USC Medical Center, the Department of Public Works, Regional Planning, and with the LAC+USC Health Innovation Community Partnership. The CEO is expected to present a strategic plan in fall 2019.